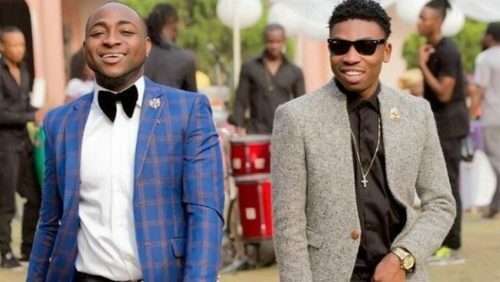 In a funny live IG video chat, popular musician Davido was seen having a video chat with Mayorkun after complaining of going broke and unable to make a wristwatch with ice box after buying expensive Mercedes benz on his birthday. Meanwhile his record label boss Davido replied him in pidgin, he said “Who send you go buy car” and this has got some of their fans talking. Is this the fake life they talked about? Why will an artist go broke just to buy an expensive car ?